LJUBLJANA, Slovenia (AP) — Slovenia’s president said Monday his invitation to host a summit between U.S. President Donald Trump and Russian President Vladimir Putin still stands despite the talk of the Kremlin’s meddling in the American elections. 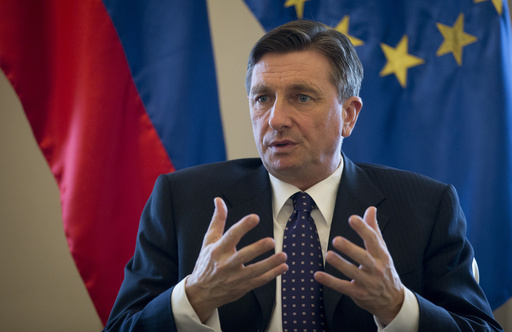 Borut Pahor told The Associated Press that a “tradition” of first meetings between U.S. and Russian presidents in the small Alpine state shouldn’t be discarded — and Slovenia is also the U.S. first lady’s native land. In June 2001, U.S. President George W. Bush and Putin had their first face-to-face meeting in Slovenia to explore the possibility of compromise on U.S. missile defense plans that Moscow opposed. Melania Trump — born Melanija Knavs — left Slovenia in her 20s to pursue an international modeling career. Putin has said Slovenia would be a good venue, but added that it’s not only up to him. Pahor said he had “briefly” discussed the issue with U.S. Vice President Mike Pence. “He was polite, but his answer wasn’t final,” Pahor said.